Here Is Why You Need a Top Rated Public Claim Adjuster! 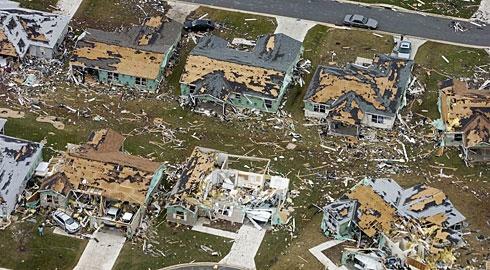 We welcome inquiries for our services on major and minor tornado damage claims. We only get involved in claims where our services are needed. We will help you through this difficult and stressful time. When a Tornado strikes I am here to help. It is good to have professional help on your side. We will meet with your Insurance Company adjuster to review the damage. While we are are busy detailing, appraising, and documenting your claim, you can begin to think about plans to replace your damaged property. Our vast experience adjusting tornado claims allows us to suggest ways you can turn this disaster to your advantage by repairing and replacing in ways that will enhance the use and value of your property. Our staff recognizes the emotional aspects of a major property damage claim, such as a Tornado claim. We are experienced in dealing with the emotional as well as the financial and technical aspects of your claim. We know what it takes to adjust Tornado claims as I have handled many large Tornado losses around the Country..
As a Public Adjuster will review your policy to identify all areas of coverage. As a Public Adjuster I will prepare your claim to maximize your recovery! For a Policyholder to prepare a Tornado damage claim without professional assistance of their own personal insurance loss adjuster (Public Insurance Adjuster) or advocate would be a frightening task. The insurance documents such as a proof of loss and Tornado damage estimates are filled with complicated language and calculations along with the contents inventory lost should be handled by only the most experienced of claims adjuster will thoroughly understand and be able to navigate. As your Public Adjuster I will deal with Items such as: depreciation, replacement costs, and actual cash value, depreciation holdback, mitigating damage are just a few insurance items that can cause you many problems, problems that could cause your claims to be denied or greatly underpaid. At times, the list of items the list of items required may seem never ending, especially when you have enough on your hands and just move on with your life, a public adjuster will alleviate this burden and will give you peace of mind. Unfortunately, it's your responsibility as the policyholder to document and prove the claim to the insurance company, either by yourself or by using a public adjuster. Many policyholders have similar questions such as: Who is going to do work? How do I estimate the damage? Will the settlement be enough to rebuild? Can I adjust this claim myself, without a Florida public insurance adjuster? Remember, when you go to court you hire an attorney to represent you; when you have an insurance claim you need to hire a public insurance adjuster, your own "claims advocate". Problems and uncertainty are easily removed through the professional assistance of our proven team of professional public adjusters. Remember the earlier you contact our public adjuster to assist you the quicker and less difficult the Tornado claim will be to settle in most cases. We are Tornado Adjusting expert! I have adjusted thousands of claims over the years and have extensive experience. Our Tornado adjusting expertise includes Condominium losses, Condo Complex's, Commercial losses, and Residential losses. With my Tornado Adjusting experience, my knowledge of insurance policies, and our knowledge of State Statutes & Codes, We are second to none when it comes to adjusting Tornado damage claims.